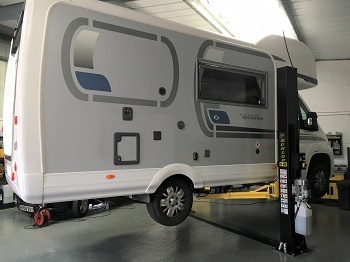 We have the space, equipment and technical know-how to care for your car. 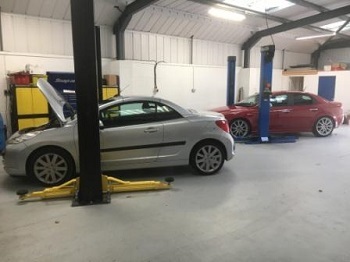 As you'll see, we pride ourselves on maintaining a clean/tidy working environment to ensure the quality of work is the same! 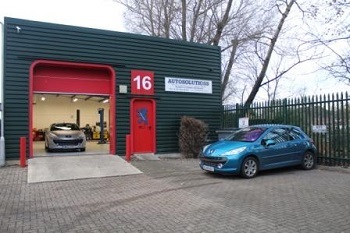 ALL other makes of vehicle are welcome in our workshop for service, repair and major unit overhaul. 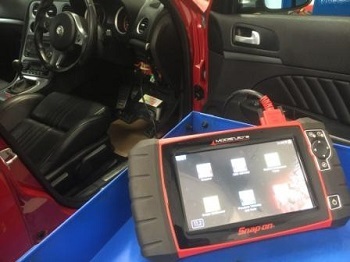 Our "all makes" diagnostic tool is the Snap-On Modis Ultra™. 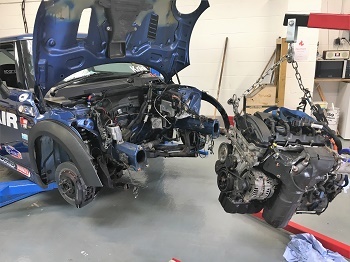 There is almost complete market coverage for engine diagnosis and other systems such as transmission, ABS, airbag, key programming, DPF regeneration etc. Includes an oscciloscope to go beyond simply "reading the fault codes" and get the diagnosis right first time. 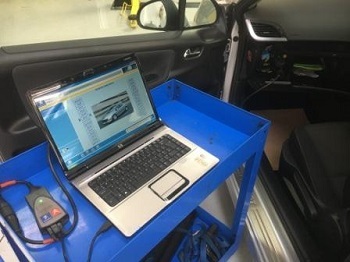 The main dealer Peugeot/Citroen diagnostic system. 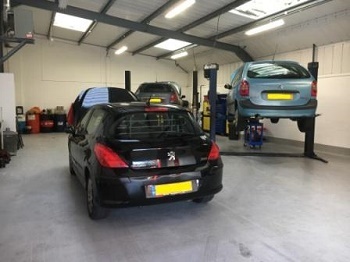 We can communicate with all Peugeot and Citroen models and carry out complete diagnosis and re-configuration tasks. 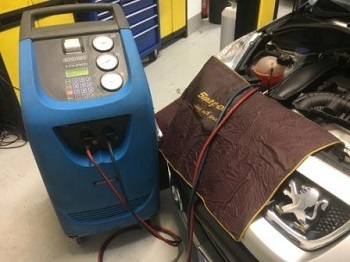 We can carry out air conditioning system refrigerant evacuation, re-charging and system diagnosis. We even help at the racetrack! 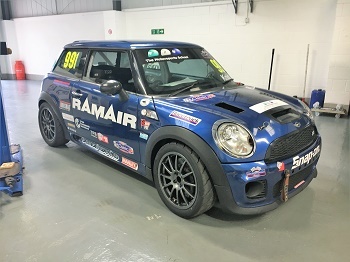 This Mini Cooper JCW, using the PSA/BMW 1.6 turbo engine and producing 265bhp, arrived with a very sick engine but was revived with a complete engine rebuild.